Hello loves! I have some quick swatches for you and a comparison at the end of the post as well. :) I forgot how fun it was to compare polishes so I'm thinking that's something I might get more active with again. Do you think that's something you would be interested in? While you ponder your answer to that question let's look at some swatches! 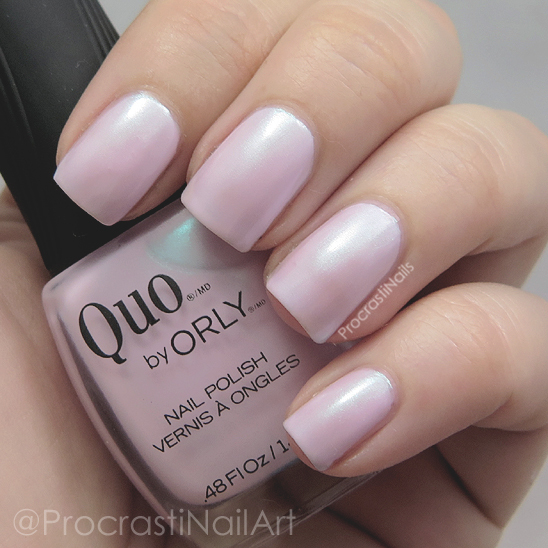 Quo by ORLY Always Chic is from the Spring 2016 Collection and can you believe my Shoppers already had it in the clearance section?! I don't get it, but bonus for me! In the macro you can really see the blue shimmer particles reflecting in the light. 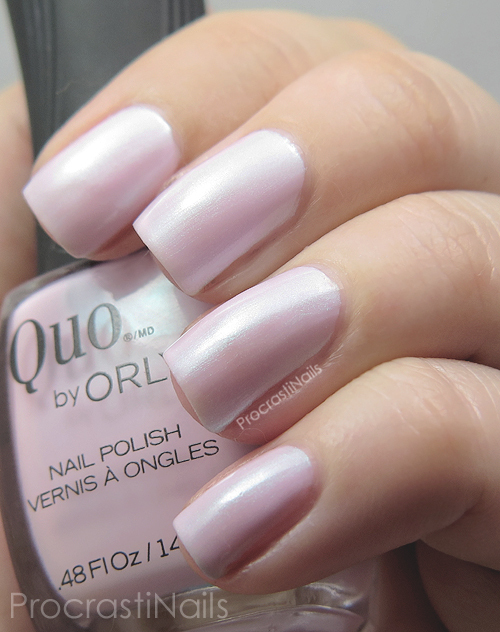 This is a truly gorgeous polish, perfectly light and summery and sweet. 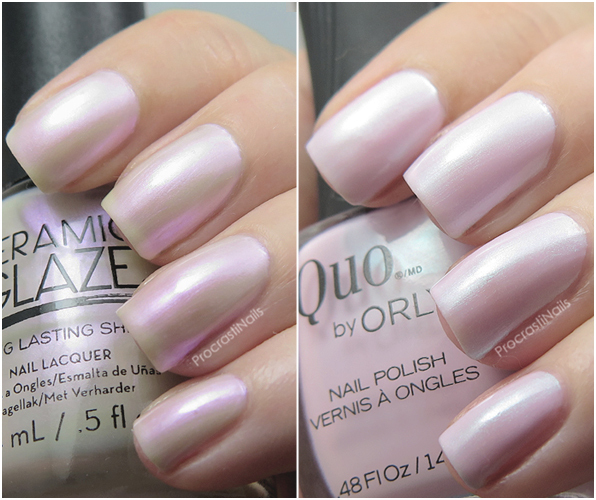 As I was putting this polish on I kind of felt like it was Ceramic Glaze Heavenly's pinker sister, so I decided to compare them for you! You can see Ceramic Glaze Heavenly (from the Botanical Oasis Collection) on the left, and Always Chic on the right. Close but not the same. But you see what I mean? Let me know what you think of Always Chic! If you had to choose between it and Heavenly which do you prefer? Let me know! Very helpful comparison of the two polishes! Yeah. Both of them should be mine. I bet they look amazing matte. Beautiful capture of the subtle shimmer! These are so pretty. A lovely girly princess and kinda bridal shade, love it! Thanks for the comparison, I was kinda wondering about that, but it's good to know they're not dupes! I think I would choose heavenly, I like the pink shimmer in it more even though it's not as opaque!